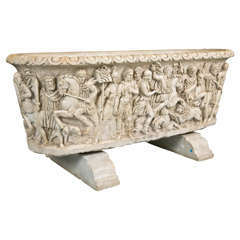 Palladio bath tub in pietra vicenza marble. Perfect for garden or home decor. 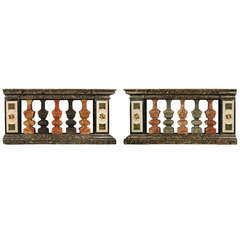 Very nice 18th century carved marble balusters from Tuscany. 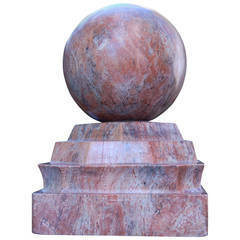 Large Carved Marble Finial "French Rouge Antique"
Edwardian era carved marble finial of French Gouge antique marble. Oval tub with a tall smooth wall and a rounded rim. Small relief at the front, depicting the Birth of Venus out of a shell. Very beautiful, naturally aged patina.